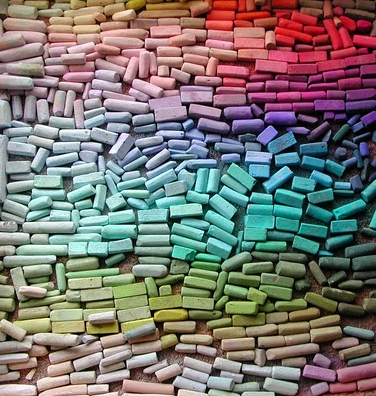 Do you like using pastels in your classroom? I used to avoid them because they tend to be messy, but this year we've used them a fair bit and I'm starting to LOVE them. The colours are just so vibrant and the pastels themselves are so soft and easy to work with. 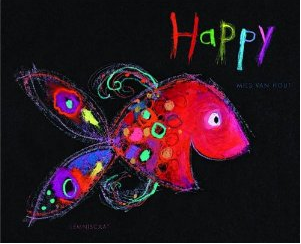 I read my class this gorgeous book called Happy. I blogged about it earlier and suggested a couple of activities to be done with the book (you can find that post here). 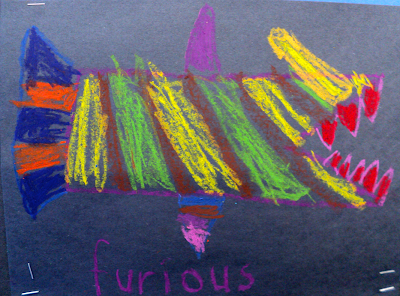 After we did that I had each child think of one emotion word that they were going to use in their own picture. 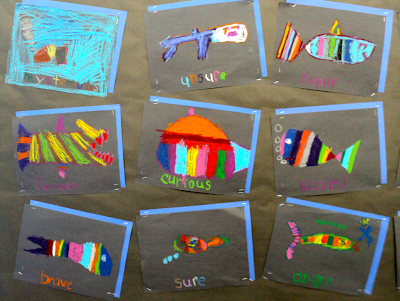 Everyone received a piece of black construction paper and some pastels and went to work creating their fish. 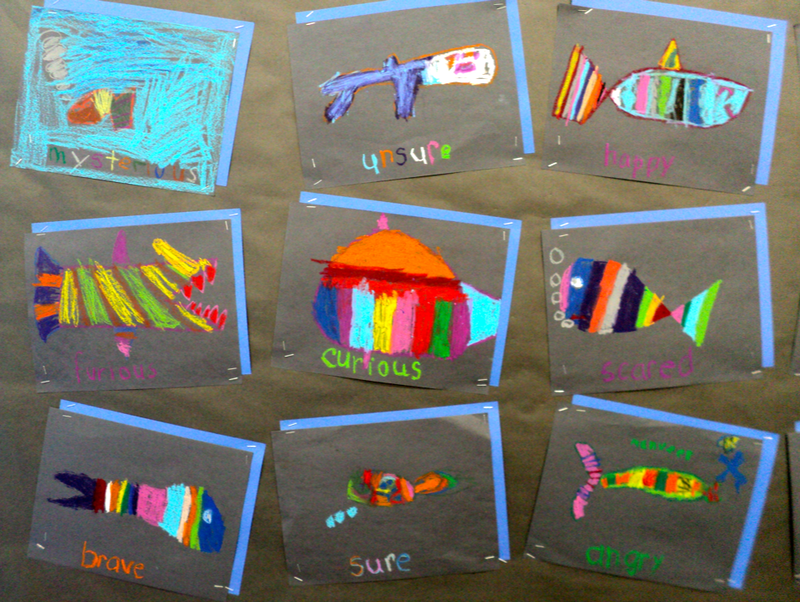 I walked around and asked which emotion their fish would be expressing and printed the word in pencil on their sheets. I love how the fish turned out! Gorgeous! I am in Oregon....the fish are beautiful! I do avoid pastels, but my kiddos love them! Oregon is a really beautiful State! Love your May Currently!! I can relate the the twilight hours at the computer...it is addicting!! Love your students artwork!! I am your newest follower!! Thanks, Kathy. I'm following you now, too! Maybe we'll cross paths in Oregon!! Thanks, Lyn. I hope you love the book as much as I do! Your kids' art is great. 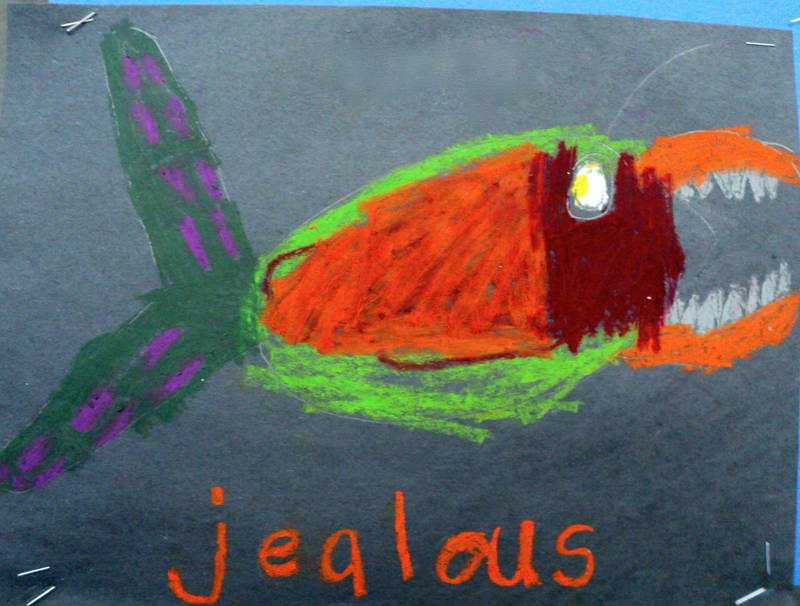 Love the jealous fish. I just bought the newest book by the author (whose name escapes me at the moment - and I am way too lazy to get off my deck chair and go to my stack of books on my desk to find out) - Friends. It is monsters and fabulous. Uhmm... did you know 8K is a LOT!?! inspiring.... but crazy! 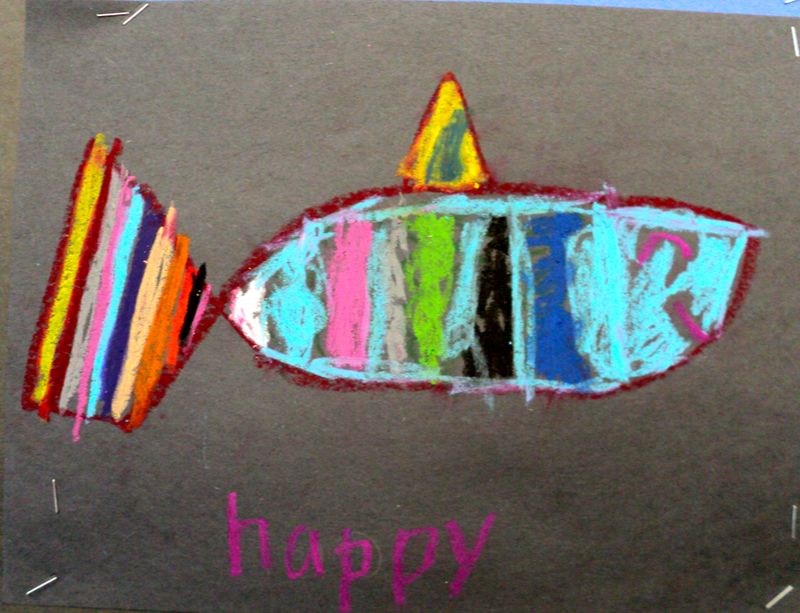 Love your kids' art! The one word thing is powerful. You and I need to look into some sleep inducing exercise or something. We should be putting off 4am evenings until summer! I stayed up late the other day finishing a book! Crazy-not young enough to pull that off anymore. 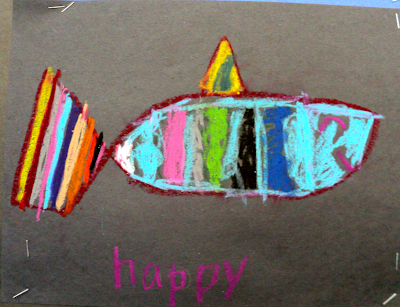 :) I love, love their pastel drawings-what a cool activity that I may just have to steal!